Accidents will happen. Any homeowner knows that sometimes things break, no matter how hard you try to maintain them. Plumbing is no different. But there are some plumbing mishaps that can easily be avoided, so long as you avoid making certain home plumbing mistakes. At Boydco Plumbing, we’ve seen many cases of plumbing problems that could have been easily prevented by homeowners. 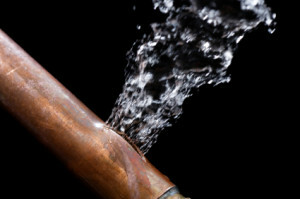 Protect yourself and your home by avoiding these seven most common home plumbing mistakes. 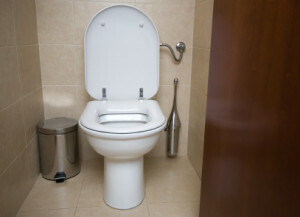 Every homeowner should know a little bit about plumbing. You may not see your pipes every day. You may not think about them at all. But they’re always there, working away inside your home. It’s why so many people don’t bother to learn or think about plumbing, because it’s something that you don’t have to worry about until it goes wrong. Or so it seems. The truth is that if you knew something about plumbing and were paying attention to your pipes, you’d be able to spot most plumbing problems before they started. And that kind of knowledge could save you and your home a lot of trouble in the long run. Knowledge is power, and if you want to feel like the king or queen of your castle, you need to understand how plumbing works. At Boydco Plumbing, we’re proud of our ability to help homeowners resolve their plumbing problems and get their homes back in working order. Our professional staff has the skill and expertise to tackle any plumbing problem head-on and come out on top. But we also believe that good plumbing knowledge is something that everyone should have, especially if you’re going to be a homeowner. If you’re wondering why homeowners learning about plumbing is so important, here are three reasons why you should make it a priority. The bathroom is one of the most important rooms in your home. The average American spends a minimum of 30 minutes per day in the bathroom, according to a recent study, which adds up to more than 182 hours each year. At Boydco Plumbing, we work with many customers who are doing kitchen remodeling and need help finishing the job. We get it — there’s plumbing to add and re-route, gas lines to accommodate, and fixtures to hook up, and a few weeks into the project, it can suddenly be a lot to handle.